The backstage area of the REP is all abuzz, as audience members and performers mingle and grab drinks on another sultry evening in this most singular of summers. There’s a certain amount of trepidation as we file into The Studio. 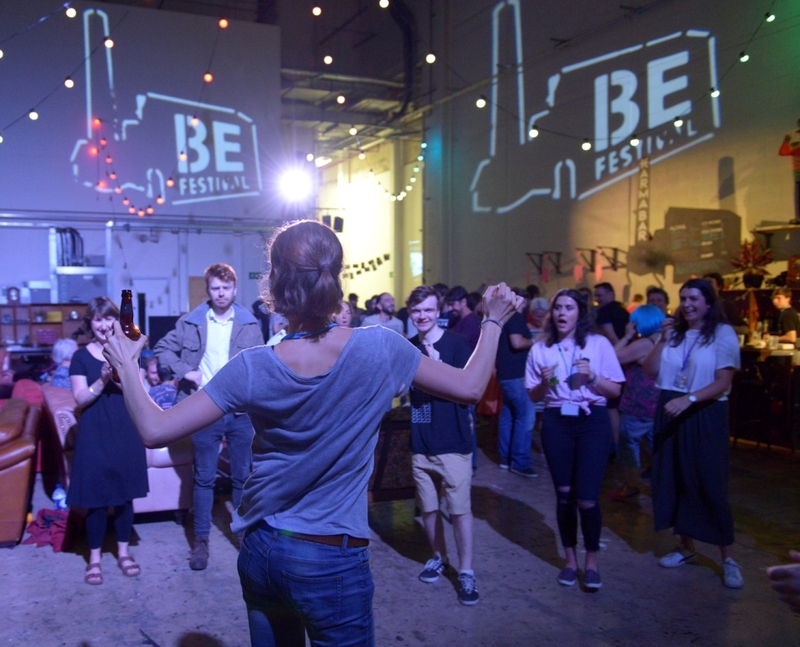 BE FESTIVAL’s format of presenting four 30-minute shows of different genres and companies from around Europe means that you’re never quite sure what to expect. It’s safe to assume that this isn’t going to be a relaxing, safe evening watching some book-adaptation on the main stage; it’s going to be challenging, thought-provoking and sometimes difficult to watch. Thankfully, tonight’s first performance eases us in gently. For me, contemporary dance is right up there with opera as one of the least accessible art forms. Quite often, I just don’t get it. The Czech Republic’s VerTeDance, clearly aware that this can be a barrier for potential audience members, have responded with Let’s Dance, a tongue-in-cheek ‘manual for anxious audiences’ of contemporary dance. The work’s director, Petra Tejnorová, stands at a lectern at the side of the stage, guiding the audience through warm-up techniques, the creative process and dance motifs while the dancers demonstrate… if I’m making that sound a little dry, then it certainly isn’t. Each dancer steps up and describes an episode from their dancing journey, from the ludicrous (the disadvantages of being a female dancer with short hair) to the touching (the realisation for the male protagonist that he doesn’t have to dance in the hyper-masculine way of his native folk dances, if he doesn’t want to). VerTeDance won the 2015 BE FESTIVAL audience award, and after watching Let’s Dance it’s easy to imagine why; it is a funny, informative introduction to contemporary dance that never takes itself too seriously, while conveying a deep love of the form. I leave wanting to see the full version of the piece (tonight was just a 30 minute segment) and keen to give contemporary dance another go. Hearing that we’re missing out on something grabs the audience’s attention immediately. Hamilton explains that this autobiographical play, about two people fleeing war in Syria, can’t be performed because two of the actors are still unable to get visas to travel. Instead, we join the two through Skype. They show the audience their current homes and, with some visual trickery, perform a couple of scenes from the play. 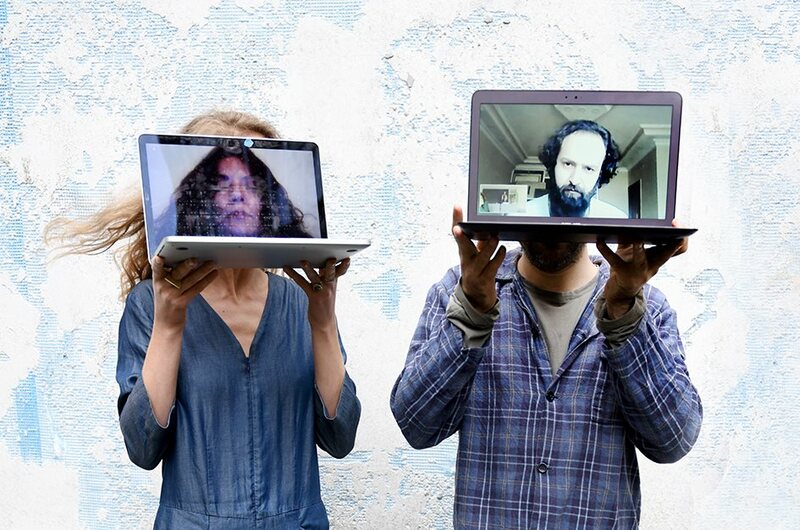 At points in Three Rooms we get a rare insight into the domestic lives of individuals living through Europe’s border crisis, but on the whole it’s too unfocussed and disjointed, as Skype calls with absent friends can often feel. I’d like to understand more about the reality of the actors’ day-to-day lives spent waiting for something to happen, rather than watching them perform sections of the play, which lose their impact out of context. If the aim of the piece is to question how well technology can compensate for the physical absence of its actors, the answer is: not very well. Next up, dinner. 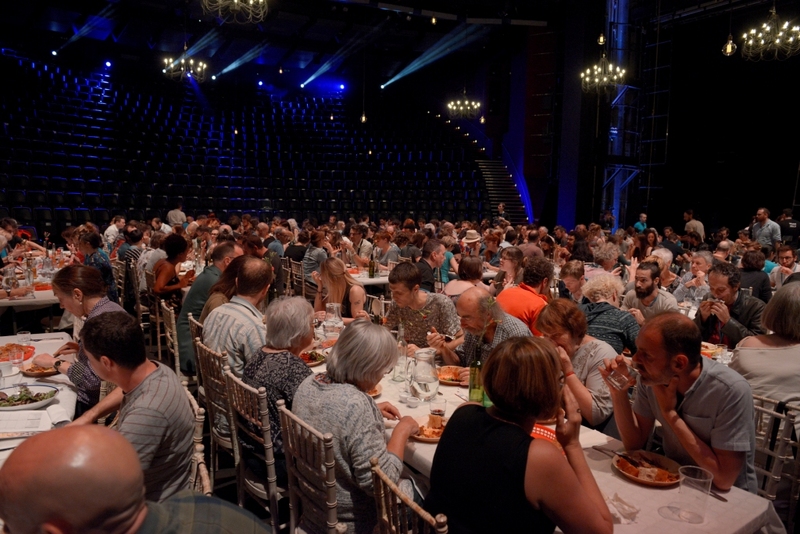 Having the chance to eat a meal on the REP’s main stage is a real treat, even if everything has overrun; it’s 9:30pm and I’m ravenously hungry. There’s barely enough time to shovel down the pork loin, rice and salad on offer before we’re called in to watch the next performance. This time we’re in The Door, a smaller space, for F.O.M.O – Fear of Missing Out, by Spain’s Colectivo Fango. F.O.M.O describes the pangs of anxiety many of us feel when we see a social media post that suggests we’re missing out on something. The performance starts light-heartedly enough – a lively set of What’s App messages are projected onto the stage, then one of the piece’s female actors uses the front-facing camera on her phone to pose, pull faces and check her teeth. We start to get a hint that things aren’t quite as innocent as they seem when she starts pointing the phone between her legs… it’s uncomfortable to witness such a personal moment portrayed on stage. Things quickly turn disturbing. Violent acts are portrayed against women, with continual filming through phone screens having a distancing effect on the perpetrators, distorting reality. In one harrowing segment, one of the female characters poses for social media photographs, before the poses become more and more frantic and out of control and she strips naked. All the while, the other performers count, slowly at first, before speeding up to the number 137, which is finally revealed as the number of Instagram followers she has. Towards the end of the show things have reached crisis point. One of the characters confides that they know nothing about the war in Syria and asks the audience if any of us know anything either. It’s an uncomfortable feeling to be implicated in the violence being portrayed on stage. I’m sure many of us can see ourselves in the characters’ obsessions with digital communication and social media. By this stage, things have massively overrun, so I don’t manage to see the final performance of the evening which is Control Freak by Cie. Kirkas – public transport just doesn’t run late enough. But BE FESTIVAL 2018 has offered plenty of food for thought. Let’s Dance encouraged me to open my mind to contemporary dance, and Three Rooms and F.O.M.O – Fear of Missing Out both suggested that technology, often heralded as an effective tool for breaking down geographical and political borders, can sometimes distance us from each other further. It may have been, as suspected, challenging, thought-provoking and sometimes difficult to watch, but that’s exactly what the best art should do. NOT NORMAL – NOT OK is a campaign to encourage safety and respect within live music venues, and to combat the culture of sexual assault and aggression – from dance floor to dressing room. To sign up to NOT NORMAL – NOT OK, click here. To know more about the NOT NORMAL – NOT OK sticker campaign, click here.